For days when I want a minimal makeup look I normally opt for Topshop Nutmeg or Stila Peony. 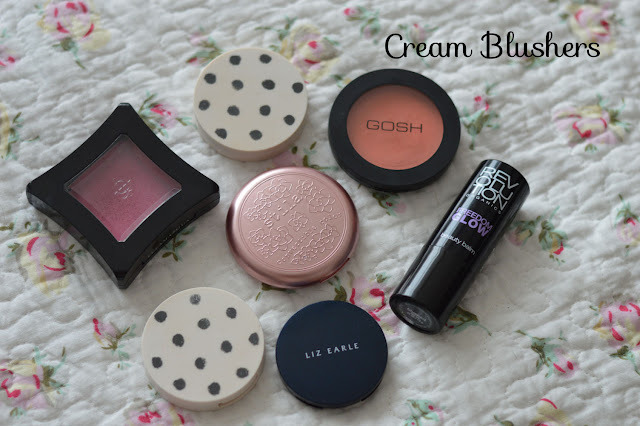 The formulation of them both are opposites, the Topshop cream blushes are cream to powder whereas I find the Stila one is a little more on the creamier side but still easy to apply and blend. I really want to try more of the Stila Convertible shades. They also work great on the lips! 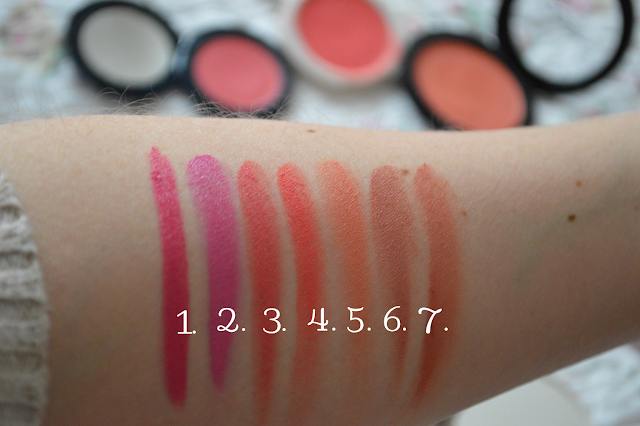 Looking at the swatches I think Peony would make a great contour shade for my skin tone, I will investigate this further and get back to you on that revelation! When I want a pop of colour this is when I struggle deicing between pink or coral, this usually all depends on the eyes or lips. Illamasqua Laid is stunning bright rosey pink shade which gives a healthy dewy finish. I only have one stick cream blush from the brand Revolution, it also doubles up as a lip product, very similar to the Stila Convertibles. These multi-task products are great to take on holiday or keep in your travel makeup bag. 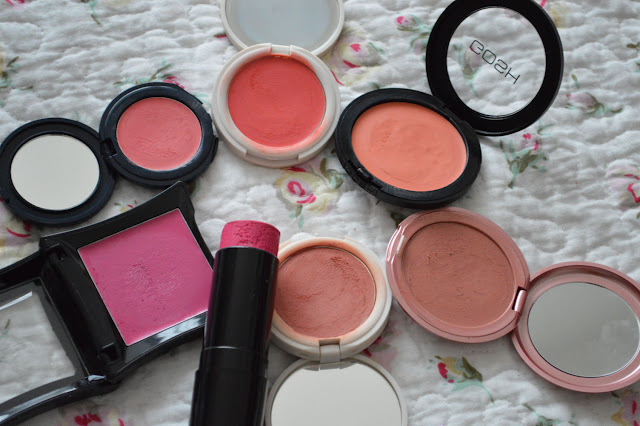 The most smallest compact blush out of the bunch is the Liz Earle healthy glow blush, perfect for keeping in your handbag or travel makeup bag. Very pigmented and easy to blend, I'm keen to try more shades. They have matching powder versions which is a great idea. Cream or powder? Have you made the switch over?? ?